Promissory note is an enforceable promise to pay back a loan or debt. For example, you are lending $100.00 to a friend of yours and he gives you a promissory note assuring to pay back $100.00 that he borrowed from you on demand or at a specified time. The person who makes that promissory note is called the maker and the person who holds the promissory note to collect $100.00 is called the holder. 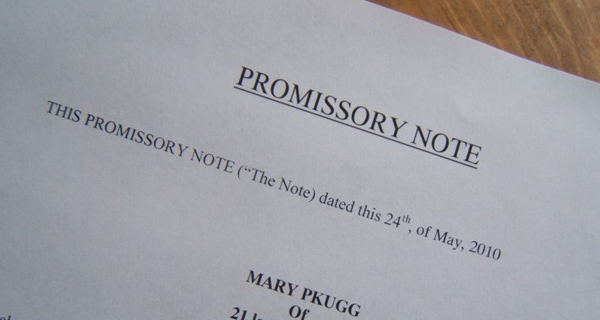 A signed promissory note is a negotiable instrument and can be transferred to other party. The maker of the promissory note is liable for paying $100.00. Should you feel that you have a financial claim on a party(s), do not hesitate to contact His Masters Legal Services Professional Corporation at 416-757-2525.